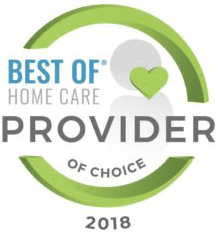 Care At Home is pleased to announce that it has received the Best of Home Care – Provider of Choice Award from Home Care Pulse for the second year in a row. 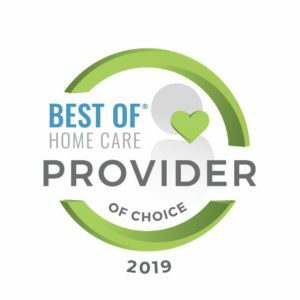 The Provider of Choice Award is granted only to the top-ranking home care providers, based on client satisfaction scores gathered by Home Care Pulse, an independent satisfaction research firm for home care. Care At Home is now ranked among a select few home care providers across the country who have proven their ability to provide outstanding care. “Our Caregivers are the backbone of this business. We are so grateful to each and every one of them, as they make an effort to bond with their clients, in order to improve their quality of life. Our experienced office staff are dedicated to supporting our Caregivers and working with our clients to provide the best customer service possible.”, says Suzanne Karp, Founder of Care At Home. 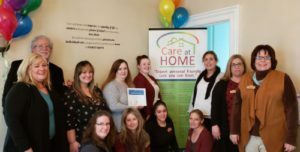 To find out more about Care At Home’s commitment to excellence, please visit www.careathomenow.com or call 860.333.6025 in CT or 401.622-4444 in RI.